A room always offering tranquility. 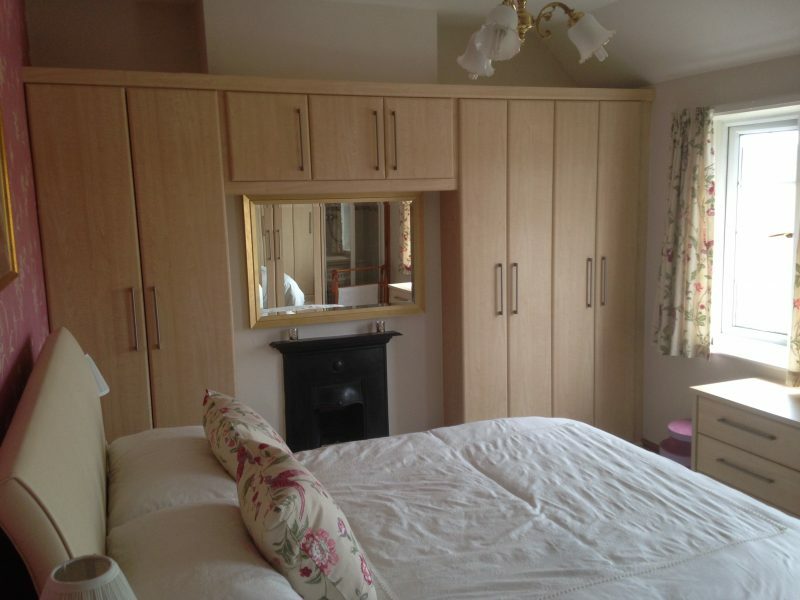 Kitchen & Bedroom Innovations supply and install Crown Bedroom furniture to create the perfect bedroom. Bedroom styles vary from classic furniture to matte and gloss finished colours. Painted doors in a shaker style have solid oak frames with veneered centre panels. These are available in a choice of colours and shades, allowing you to select the perfect tones for your bedroom décor. Colours and finishes can be mixed and matched to create something totally unique. Crown have designed a versatile shelving system which can be supplied and installed. The shelving is designed and available in different heights and depths allowing individual and unique designs. At Kitchen & Bedroom Innovations we pride ourselves in delivering quality designs and products to create that special space. A bedroom should be a place of relaxation and comfort. Designs can match your unique requirments and style of living, creating highly functional spaces and storage. 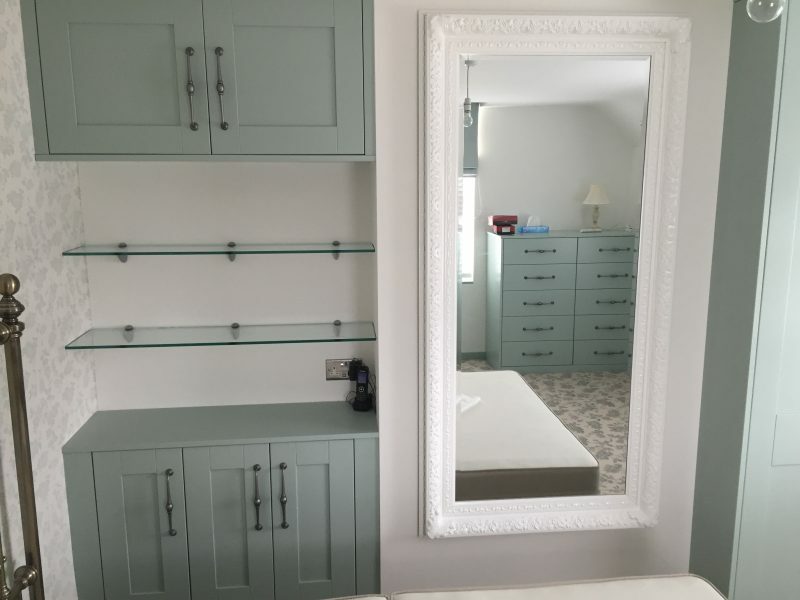 Glass shelves maximise space and can either co-ordinate or compliment contrasting cupboard doors. These create extra areas and concealed storage.